The stars are also in motion, some of them at tremendous speeds, but they are so far away that their motion does not change their apparent positions in the heavens sufficiently for anyone to perceive that change in a single lifetime. Originally posted by beckee529 on 23 Oct 2007, 22:56. Last edited by Bunuel on 25 Jan 2019, 03:47, edited 1 time in total. B) Like the planets, the stars are in motion, some of them at tremendous speeds, but they are-bingo. Like is used to compare nouns and it is used to compare stars and planets here. The rest of the sentence is gramatically correct. C) Although like the planets the stars are in motion, some of them at tremendous speeds, yet -Use of although and yet simultaneously makes the sentence less clear . E) The stars are in motion like the planets, some of which at tremendous speeds are in motion but -Incorrect comparison. The statements says that both the stars and planets are in motion , but since the stars are farther away from earth,human eyes will not be able to see them moving. So,we need "but" in there to bring upon the actual meaning.Retain B and D.
As the planets --> incorrect comparison as we are comapring the motion of planets with stars and not just the planets. Be careful. Here, "but" and "yet" are being used as conjunctions, and "but" and "yet" are interchangeable when used as conjunctions. I enjoy movies, yet I never get a chance to go. I enjoy movies, but I never get a chance to go. These are identical. "Yet" only means up until now when it is being used as an adverb. You got the right answer, but you should not have eliminated A and C for using "yet." Also, why then is E wrong? It also uses "but" and might not need a comma. “be” is an auxiliary verb, is/am/are/war/were/will etc. are different helping verbs in different forms. The work is being done. Joe, being a naughty boy, never finished his homework on time. Being nice can be hard. I think you misunderstand the Manhattan SC. You are focusing on the part that "like" is modifying, when you should be focusing on the "like" itself. Can someone explain the difference here between "like" vs. "as"? I was under the impression that "as" is used to compare clauses vs. "like" which is used to compare nouns, correct? I narrowed it down to B and D and chose D because I *thought* that I was comparing the "motion of the stars" to the "motion of the planets". Doesn't that warrant a clause comparison, in turn, using "as" as the comparison marker? As a + 1 -- can someone purely use comparison to eliminate the 5 answer choices, I would love to see what is being compared. I can only eliminate "C" b/c of the "although" in the front creates an awkward comparison. Was I wrong? Both sentences are correct. Both the sentences above convey the meaning that Amy takes care of the children “in the same way” as a mother takes care of her children. But notice the usage here – ‘like’ is followed by a noun and ‘as’ is followed by a clause. This grammatical construction should be kept in mind. In this question, all of the choices are grammatically correct for like/as. There are other meaning issues (modifiers, "although," etc. ), but the meaning of the comparison matches for ABCE, so we cannot eliminate them for comparison reasons. D, however, has a comparison problem. 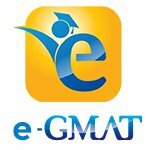 Also, in general, the GMAT seems to like to test the meaning of a comparison much more than the actual grammatical structure. Don't worry so much about like/as and focus more on the meanings that are generated by changing the order of the words. Can you please explain why there is no pronoun ambiguity in B. THEY can also refer to planets. I am facing a lot of issue in pronoun ambiguity issues and hence I am not confident in eliminating options on the basis of pronoun ambiguity. Please assist how can I comprehend this topic. When two clauses are joined by a conjunction and the second clause begins with a pronoun as the subject, that pronoun should refer to the subject of the first clause. As a result, we have two clauses joined by a conjunction, so the pronoun subject of the second clause ("they") must refer to the subject of the first clause ("stars"). Because "planets" is in a modifier, it is irrelevant to the parallel consideration because it is not the subject of the main clause. Six different forms of subgroup modifiers are frequently observed. These forms are illustrated using the example above - the first 3 forms are correct and the last three wrong. In other words, we have to be careful that the modifier both is grammatically correct and has the correct relationship to that which it modifies in terms of meaning. The difference in meaning in this example is subtle, but it is an important one for the GMAT. Excellent observation, thank you for the post! I see your point and do agree with you. It is better to place the subgroup modifier after motion. Nevertheless, my intent for the post was to highlight the various possible uses, some of them correct and some wrong, of subgroup modifiers.